These are all the writing self-help books I've read (and re-read) except for the last one that I'm still working on. 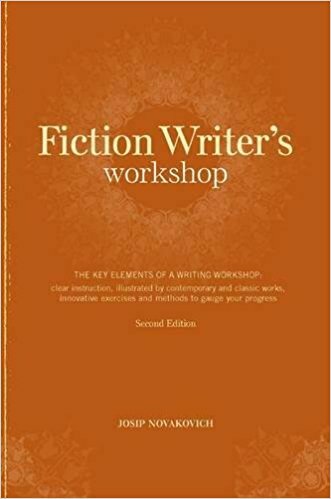 I've studied them, considered their suggestions (some didn't work for me but might prove perfect for another author), and I've learned from all of them. The very first was basic, which is what I needed. 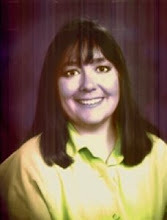 I was living in the little town of Hanford, California in 2005 and decided I'd write a book and maybe others. I did what I thought would be the first step and drove down to the single bookstore in the Hanford Mall and looked for books on how to write a book. 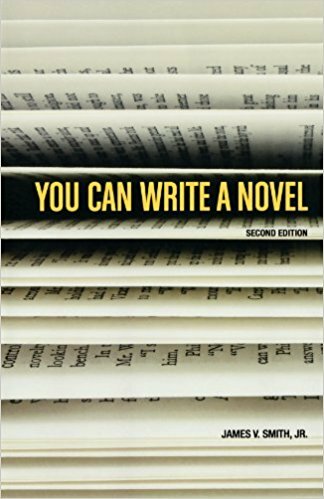 There was only one: You Can Write A Novel by James V. Smith, Jr. The cover at the time was blue with gold print. To the left is how the current cover looks on Amazon. This was perfect for a beginner. It went into the basics - actually had me making index cards with character traits, scene cards. 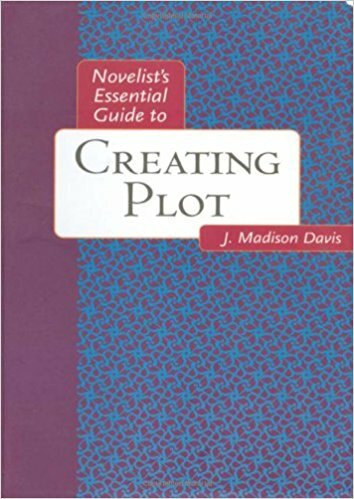 It had templates you could use to "log" your plot. 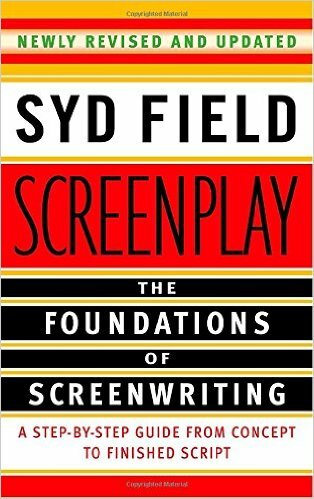 The book went over what I know as basics now, things like discussions on what cliches are and how not to use them and why. I really thought writing a book would be easy. Yeah, right, but then that's another story. 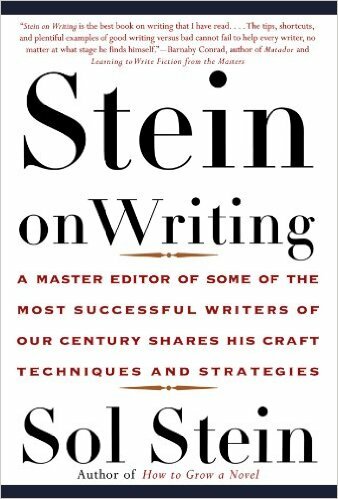 Then came this one by Sol Stein. Great. Loved it. Helpful. Again, I was going to write a book and it would be easy. Again, in hindsight - yeah, right! Here are others I finished reading and dove back into many, many times. Here are my more current favorites that I will use over and over again. 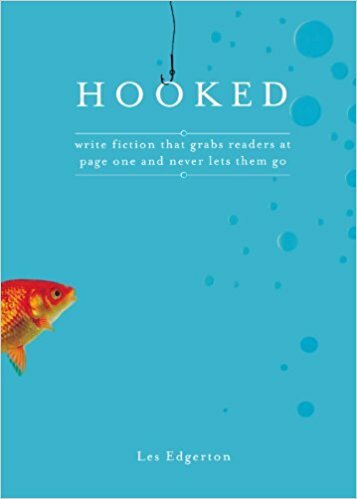 Hooked (below) is the most recent self-help book I've read. It's an invaluable resource and I will read it again and again. 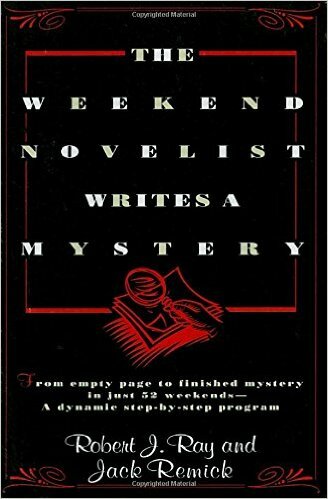 The Weekend Novelist Re-Writes the Novel is one I started, but stopped halfway through. It is very good and very needed for my work in progress, A Promotion to Die For, but I don't need to finish it now. A Promotion to Die For is not yet complete enough for me to "re-write" it for publication. 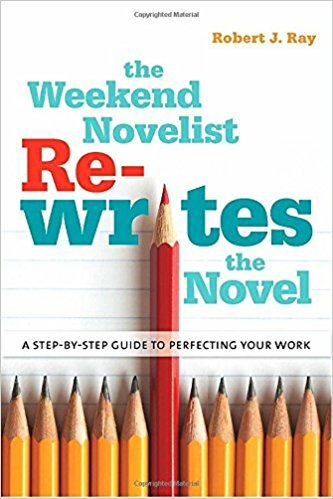 When every chapter is complete, I'll finish reading The Weekend Novelist Re-Writes the Novel and use it as a resource to polish my finished project before submitting it to my publisher. If you're an author, what self-help books do you use? Do they help you? 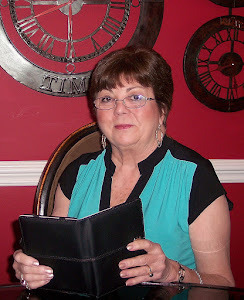 Do you absorb all the information or, like me, do you have to re-read and review over and over? Labels: A Promotion to Die For, Linda Thorne, Self-Help Books on Writing, The Weekend Novelist Re-Writes the Novel. Did you ever wonder about the etymology of the word ‘deadline’? It sounds so vaguely threatening. “You reach this line (time?) or you’re dead.” Did the kings of old give their serfs a deadline for bringing in their tributes and lop off their heads if they missed it? Come to think of it, I have known a couple of old-time editors who would have just loved the power to do that – in fact, getting one’s head (or job) lopped off on occasion would have been considered preferable to their reactions. I wonder that those of us in the wordsmith world have not been able to find a more pleasant, less belligerent term for the time a manuscript/whatever should be turned in. Final day? Term line? End time? Not that it makes much difference these days anyway. I grew up in advertising, back when deadline really meant deadline. Even being a few hours over the limit was enough to get you raked over the coals. When I moved over into journalism, missing a deadline could get you fired. Now it seems that a deadline is more of a suggestion than a distinct cut-off date, which is something I don’t understand. If you’re given a contract and a date your project is due, hadn’t you better uphold it? Now there are a few reasons for missing a real deadline without notification to your publisher – death, ending up in a full body cast at your local hospital, things of that order – not that you feel you need a small vacay and will need an additional two months, or that you had another contract come up that offered more money, or any other reason, legitimate or not. If someone realizes they can’t make a deadline, they should notify their publisher immediately. I don’t see why people don’t get that. On the other hand, there’s a lot about the other side of publishing I don’t get. 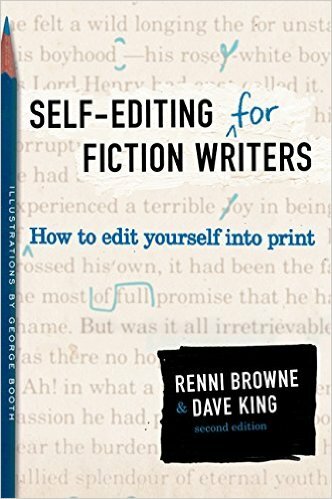 Why have advances fallen, the quality of editing and proofing gone into freefall and all the responsibility for publicity fallen on the shoulders of the writers? (Unless you’re in the Roberts-King-Koontz stratosphere and, of course, generally excepting a listing in the catalogues.) Why are advances to celebrities and politicians astronomical (in the millions) when it’s pretty much accepted that their books not only won’t earn out, but will be seen on remainder tables and cut-rate bookstores for the next decade or two? This, when working mid-list writers, the ones who write the books people actually like to read and who are the mainstay of the publishing industry, find it hard if not impossible to support themselves on their writing. I don’t understand. Too much focus on money, not enough on books, or the quality of books. Seems contra-indicative. Like I said, I don’t understand, but I’ve got a deadline blowing dragon breath on the back of my neck and I’ve got to go work. If anybody figures it out, let me know. 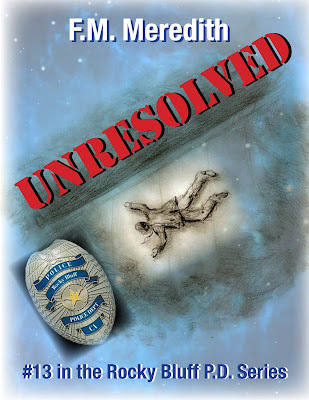 As promised here's the Blog Tour Schedule for Unresolved. 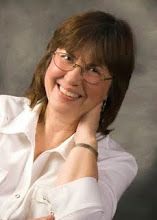 May 4 Why a Blog Tour? 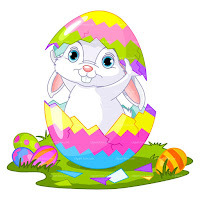 May 7 Besides Blog Tours, What Else? May14 Why Do I Torture Myself? I do hope some of you follow me along on this journey. 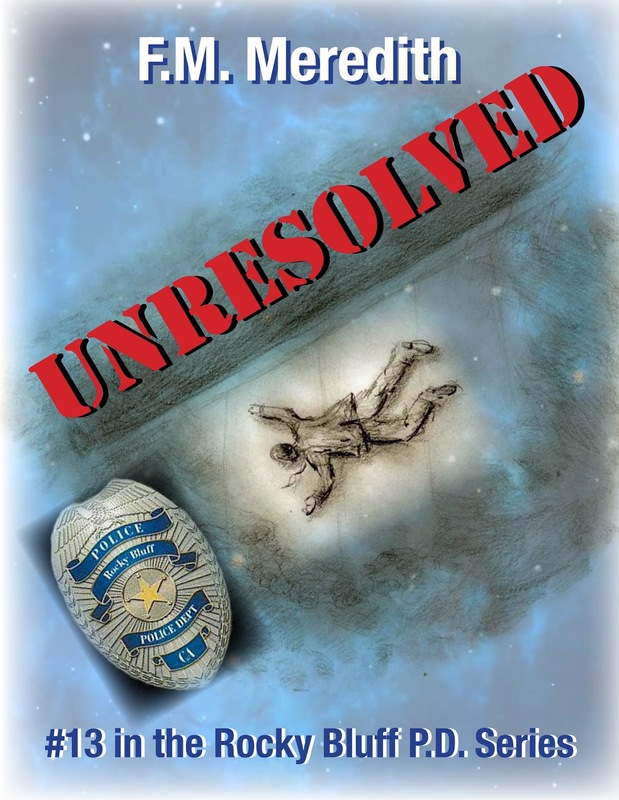 It's Official, UNRESOLVED will Soon be a Reality! Despite a big setback, something I've written about elsewhere, the 13th book in the Rocky Bluff P.D. Mystery series will soon be a reality. The text block has been gone over carefully and the cover artist sent me two covers, and I chose the one I like best. I've been working on a blog tour which will begin this month, will write more about that on my next blog post here. Every time I decide to do one, once I get started I wonder why. It is so much work, but I love writing the posts. Though I had no idea whether or not I'd have a new book at this time of year, I always plan ahead as far as in-person events are concerned. I alway have plenty of books to promote. 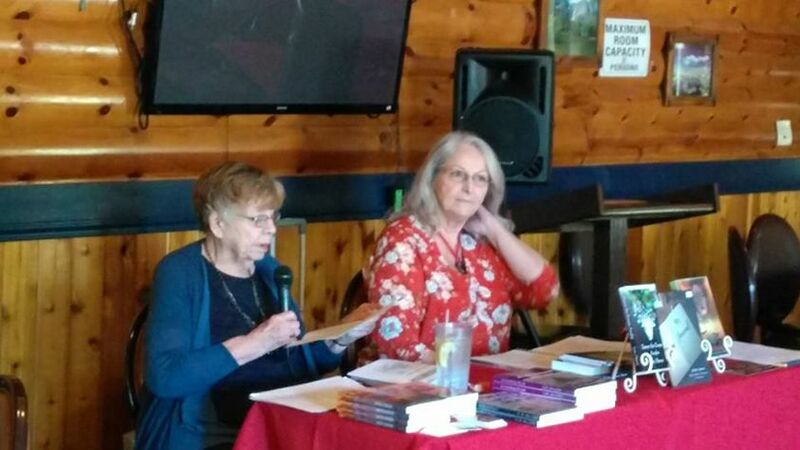 I'll be speaking at the Library in Hanford at 3 p.m. and will probably talk about my latest Deputy Tempe Crabtree book as well as the new RBPD mystery. On April 22nd starting at 10, our church is having a boutique--and of course I'll be there. 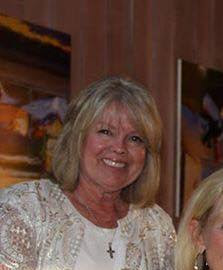 Right now, May is open, but I'll be heading over to the Paso Robles Library on June 24th to participate on a panel from 11 to 1 about Writing a Best Seller. The biggie in July is the Public Safety Writers Association's annual conference from July 13 through 16. I'll be one of the instructors at the pre-conference workshop and participating on a panel or two. 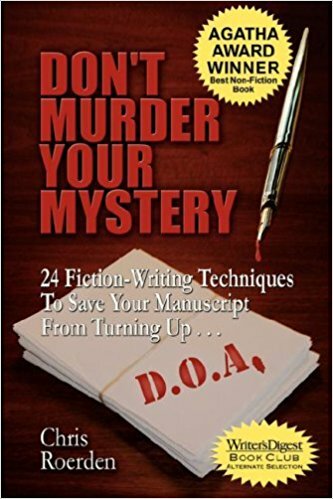 In the evening of August 8, I'll be speaking to the San Luis Obispo Night Writers on How to Write a Mystery. That's a fun presentation where everyone helps plot a mystery. That's all I have so far, but who knows what will pop up in the future. Rocky Bluff P.D. is underpaid and understaffed and when two dead bodies turn up, the department is stretched to the limit. The mayor is the first body discovered, the second an older woman whose death is caused in a bizarre manner. Because no one liked the mayor, including his estranged wife and the members of the city council, the suspects are many, but each one has an alibi. Copies may be purchased from Book and Table by emailing bookandtablevaldosta@gmail.com with a 10% discount and free shipping, as well as all the usual places. And that's what's going on in my writing life now. 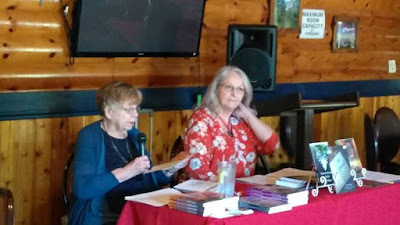 Me and Cora Ramos doing a joint presentation at the San Joaquin chapter of Sister in Crime. 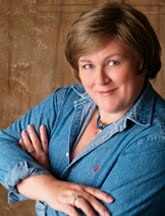 I just finished reading a blog by Jamie Gray regarding her struggles in marketing. 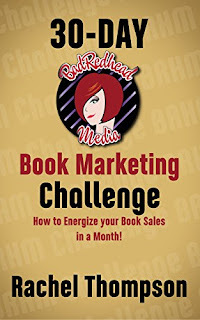 My heart went 'thump thump' because like many authors I hate to market..if I did I would have been a sales person, right? So I put on my big girl pants on, and ordered a book she recommended from amazon. Two days later I received the book and like Jamie I was determined to erase my demons, read the book, and report back to you in May some of my findings. Hopefully Jamie will do the same and I can relay some of the information she found out. So here it is, for better or worse ‘Rachel Thompson (better known as the genius behind @BadRedheadMedia) and her 30-Day Book Marketing Challenge, with a determined hip wiggle, I took a deep breath and made the decision that April Shall Be the Month of Marketing. Let’s be honest, it’s 30 freaking days. Even I can manage this, right? Therefore, as I beginning reading all the wonderful things I need to know in the month of April on marketing, consider this post my “writing it down” commitment to seeing it through. Maybe I’ll get lucky and find my own path to sales land nirvana. One that won’t land me in a pit of frustrated, hair-pulling, despondency and perhaps set me upright on the correct marketing path. 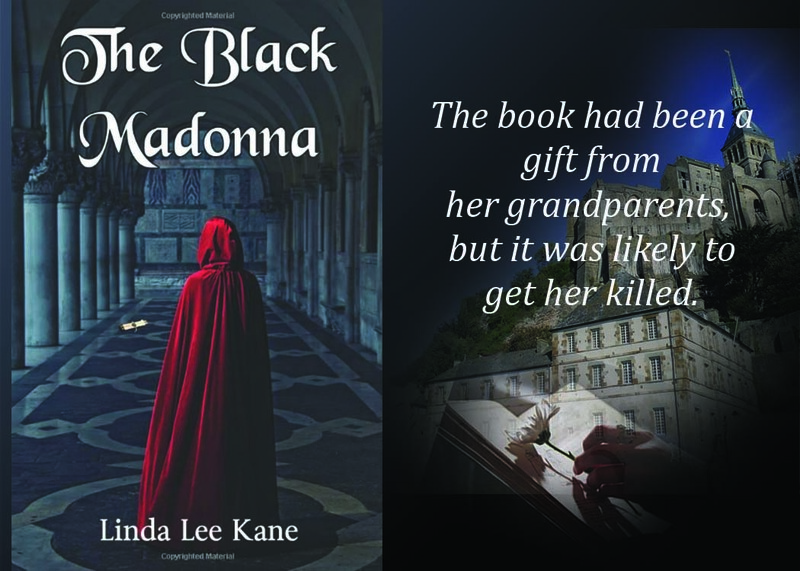 Linda L. Kane MA in Education, PPS, School Psychologist, and Learning Disability Specialist, is the author of The Black Madonna, Witch Number is Which, Icelandia, Katterina Ballerina, Cowboy Jack and Buddy Save Santa, and Chilled to the Bones, Upcoming 2017 release date, Clyde: Lost and Now Found, and Death on the Vines. A Daisy Murphy Murder Mystery.